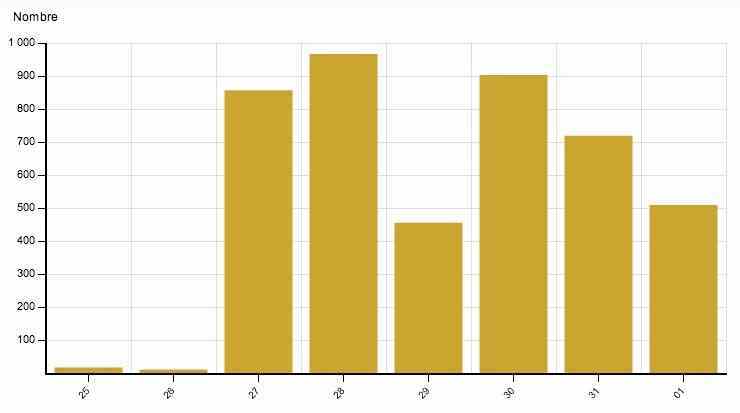 Over half of “Facebook IPO” social media mentions were on Twitter, showing how important the microblogging site is for breaking news. In the 24-hour timespan after the WSJ post went live, Twitter’s mentions for that term grew eightyfold – to over 800 posts. Yah it’s right facebook is growing very fast.and now it’s launches it’s new feature IPO.it will make facebook more secure. Facebook is growing. The first thing that came in my mind when I read this news once facebook do its Initial Public Offering (IPO) it will soon become too commercialized and less user-friendly social network. I’m excited to see how Facebook is going to interact with the cloud-computing movement because in a way they’re already a cloud-storage company by allowing you to store a seemingly endless amount of personal photos on their servers in high quality. If they will go and allow you to upload other documents as well into their servers that are under your name (maybe https?) then it’ll be interesting to see how this impacts the online storage industry! I don’t thing this is a good idea by Facebook.Lets see what happens. Facebook has dramatically changed the internet marketing. 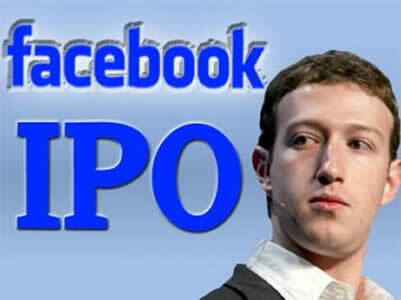 It is expected Facebook IPO would go one of the largest IPOs in the world. It will then be easy to determine company’s status. Especially G which is pretty scared about the possibility of FB joining with Bing and taking G first place as search engine all the web is looking at Facebook. And I might be wrong but FB will soon go the way of MySpace as well as G will go the way of Yahoo Things like going out with friends for example i think there are better way to use time than staying on FB all day. Or is it all this hype just created ad hoc to make Mr. Z even more rich with a product like FB which is most of the time simply useless? Something which would have some benefits anyway. Z will become richer with ads and so on but I really doubt that FB is useful for more than 10 percent of businesses. Thank for the update. My only concern is that, i just hope it will not affect the Facebook’s site. I’m a constant user of FB and I notice that sometimes it hanged. Maybe because this is the effect of the new applications created for Facebook. I don’t think the main site will ever be affected really. What you will see more of in the future is differing advertising strategies mostly, particularly in Facebook mobile. have an account because it’s a decent way to keep in touch with family and friends from around the country and the world, but I only log in about once a week. I could pretty easily do without it, I think. I think Facebook IPO could turn out to be one of the largest IPOs in US Corporate history! They have 845million users and made a net profit of $1billion in 2011. I think Mark has taken this decision to make this even better this year. The delay in its launch will not have much effect on this increased profit share. Looking forward to what’s in store for us! I am frankly surprised that so many are down on the company. Based on a quick read of their S-1, they have 800 million plus members who log on to the site at least once every 30 days. That’s impressive. They simply do social networking better than anyone else. That has to be a pretty easy sell to companies trying to advertise. They’ve just in the last 3 years started tapping into that with advertising revenue and app sales. We’re eagerly awaiting Facebook’s IPO papers, which are expected sometime this week. Everyone wants to know exactly how profitable the social network is, how fast revenues are growing and what the company’s valuation will be. Facebook has been an integral part for many businesses! It has changed the way we market our services and products. Also, I gives a personal touch as company can personally reply to customer queries! Looking forward for this Fcaebook IPO! Hope it’ll launch. Waiting…. Linkedin is a lot easier to use for business networking, don’t you think ? I think by launching Facebook IPO, Mark has taken a economical and competitive decision. After the launch of Google+, I think launch of Facebook IPO will prove a healthy competition to Google. The delay in its launch will not make any particular difference. Google+ did not receive a huge response like FB received after its launch. But I think this will not be the case with Facebook IPO. Facebook’s IPO will give them a chance to expand on a major scale. They are planning to raise around a 100 billion dollars through this IPO which may seem imaginary to most of the companies when they launched their IPO, but it sure is true. Facebook has rose to a level never imagined a couple of years earlier but from here on, it only gets better. Interesting statistics.. beginning to wonder if I’m the only person who thinks Facebook isn’t actually worth as much as it seems to be! To become a part of Facebook IPO everyone will wait even for a longer time as it is associated with the social networking site’s big daddy Facebook. I think this will help in improving the status of FB in market to a new level which will be difficult for other sites to achieve. Waiting for its launch! Thanks! We can’t deny importance of social media. If few years back Facebook and twitter accounted for 3-5% of all my website traffic then today this number is 20-30% and still constantly growing. The epic battle between Google and facebook continues! Facebook may receive more attention from their delay than they would have had, had they opened on time. It all depends on the spin. I am curious to know how much shares with be. Anyone have an idea? Nice infographics! I do not understand why facebook is so hyped. I think we are giving it more attention than it deserves. Yes, I agree it is a nice company which has revolutionized social networking but hey, there were websites like myspace, hi5, and so on before facebook and how come they did not get this much attention? We’ll see, by the way as reference I’d take LinkedIn case. The Ipo’s price was fixed at USD 45 and now its price is around USD 80. The world is already awaiting Facebook’s IPO. Thus, when this realize the social media has been rocked, not only on Facebook, but also on Twitter, Google+ and other top social sites. Facebook’s great success is such inspiring. However, investors should also be warned that they cannot grow as fast as the early investors. every one in world waits for ipo of facebook….every one want to see effect on google ipo after launching fb ipo…. Gagan Arora would love you to read ..The Vampire Diaries S03E13 !StRiCkEr! HDRip Mediafire Links 350 MB. Now more than ever Facebook will be compare with Google. Facebook with a ban of sorts makes no sense at all. I like it the way it is, easy to access and use by most people. This entire security coding and all that makes no sense at all at least to me. I am a supporter of a safe web, but not of a Big Brother like web condition that is very sad and not positive at least in my view. Some people say that Facebook is one of the oddest online company to really make it big, but amidst it all, it is truly one of the most visited and popular website in the world. I believe that Mark Z. is trying to reach out more and Facebook is now taking it to a higher level than what it was originally built for. A valuation of $100billion – I wonder if there’s any justification to this valuation. Yahoo was equally popular just before the last dot com bubble. What next social dot bubble? Before launch of Facebook IPO, it is already gaining popularity. Thanks to Twitter! I think Mark have made a logical decision of expanding Facebook. It is good to see that it is getting bigger and bigger day by day. I think folks are willing to wait even longer for this, if they are going to get something more interesting. Thanks for sharing this! Eagerly waiting for its launch! Boy, this sounds pretty interesting. Even though the Facebook IPO launch is delayed, we can wait right? I’m looking forward to this upcoming launch of the Facebook IPO, and I’ll keep an eye on this. Here comes our next U.S billionaire! Any idea how much shares will go for? there are hundred of social networking websites available on the net. Facebook and Twitter are popular and best website for social networking. Almost everyone has facebook account. We can use social networking for our business also. The facebook IPO is probably one of the biggest tech/financial stories of the year. It’s one of the biggest tech IPOs since Google went public. Though I think it may be overvalued, so I would keep a close eye on it and be cautious before putting in too much money. The IPO is here, with 845 million users generating 2.7 billion Likes and comments a day, last year alone Facebook made over $3.71 billions!!! I’m new to buying stocks but this does call my attention. Any idea how much they will go for? I was watching the Twitter feeds yesterday. Facebook, social media…boy do I wish I was person who came up with those ideas. It seems that Zuckerberg has big plans for Facebook. With the money generated from the IPO launch, it would be interested to see how far it will go. This move will most certain sky-rocket FB’s market value making Mr. Z one of the richest people on earth! After it has been announced I was really up to this news about FB but I really can’t understand the reason of delayed. Well, let’s just wait for Mark to clear things up. Suraj would love you to read ..Top 10 Tips to Recover from Google Panda Update – A Year Done Research! @Andrea Hypno interesting to read that. No doubt Fb has an extreme popularity and already a part of life for majority of people though it is a newcomer to the public sector. I think investors all over the world are also curious to know how the IPO thing for Fb approaches. An IPO for the Fb means they are planning for a multidimensional growth and no surprise if we see Mr.Z come out with something different. Well this is a good news I have to admit, there are many social media site we can use, it is good to hear that face-book is planning something that will inspire many people to use it. Quite a lot of activity, and it’s not even completed an IPO yet! Will be interesting to see how this develops. James. Facebook has grown to the point that I am sure that the need for revenue for more growth is highly needed. Look for a lot of changes at Facebook after they go public. With the amount of money Facebook will generate from this IPOs it seems Facebook has some big plans to implement. Facebook IPO is expected to generate 5 times the money that Google’s IPO generated in its public offer. well for know Facebook seems to be far ahead of Google for now. Facebook has been the king of the social network for quite sometime now. People have been on it using the site and networking on it. But this monitoring idea seems very childish. It is more like someone is listening to your phone conversations, like tapping of sorts. I don’t buy that security crap, it’s more the insecurity of the politicians than anything else that is at work here. As you see, there are hundred of social networking websites available on the net. 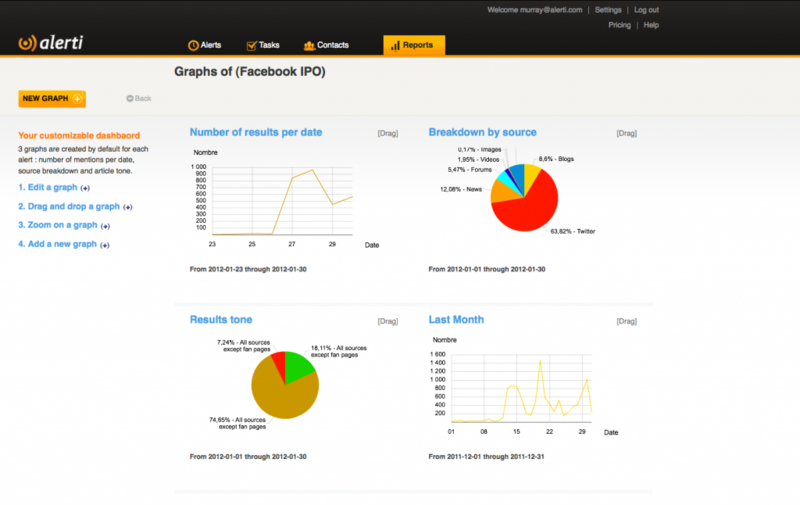 Facebook and Twitter are popular and best website for social networking. Almost everyone has facebook account. We can use social networking for our business also. All the web is looking at Facebook, especially G which is pretty scared about the possibility of FB joining with Bing and taking G first place as search engine. Something which would have some benefits anyway. It’s always funny to see two monopolists like G and Microsoft fighting each other. But is it this thing so important? Or is it all this hype just created ad hoc to make Mr. Z even more rich with a product like FB which is most of the time simply useless? I think there are better way to use time than staying on FB all day, things like going out with friends for example. Sure Mr. Z will become richer with ads and so on but I really doubt that FB is useful for more than 10 percent of businesses. And I might be wrong but FB will soon go the way of MySpace as well as G will go the way of Yahoo. Nevertheless the Facebook IPO thing is interesting. Hey Andrea, I agree with you, FB is pretty useless, but 500 million other people think it is useful. They’re the ones that will help make Zuckerberg rich. I agree, I think Twitter is much more important in terms of marketing, brand management, trend watching etc. etc. FB has a huge user base so it can reach out to a huge number of people but are they that open to marketing when they are basically socialising. Vernette Carbon would love you to read ..Nail Salon Dirty Tricks – Nail Salons Exposed! !